Review of our book (in German) on the popular blog «Valletta | Das Journal» in September 2018. Thank you, Bertold Schmitt-Feuerbach! 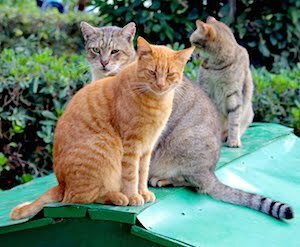 "Almost every photo collection taken by Malta tourists shows at least one cat, often even a whole series. You meet these incredibly photogenic beings almost everywhere in Malta. Almost always they are strays, feral cats. And it is noticeable how healthy and well nourished most of them are, hardly to be distinguished from domestic cats. If one looks closer, one discovers feeding places, plates, water bowls. If you might ask yourself, who takes care of these cats, then the richly illustrated book "Islands of Cats" (German title: Inseln der Katzen) will provide you with new experiences and impressions. 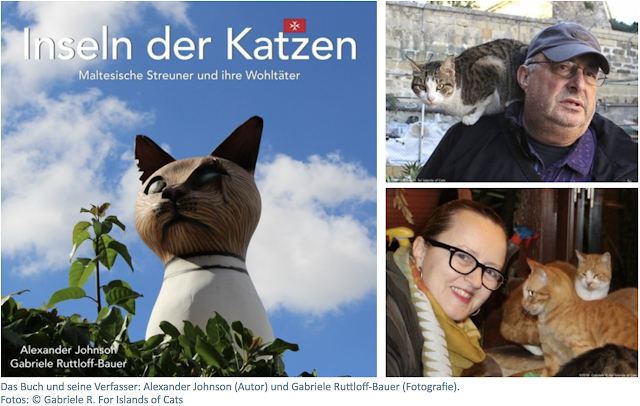 So much should be said in advance: This cat book is actually a book about people."